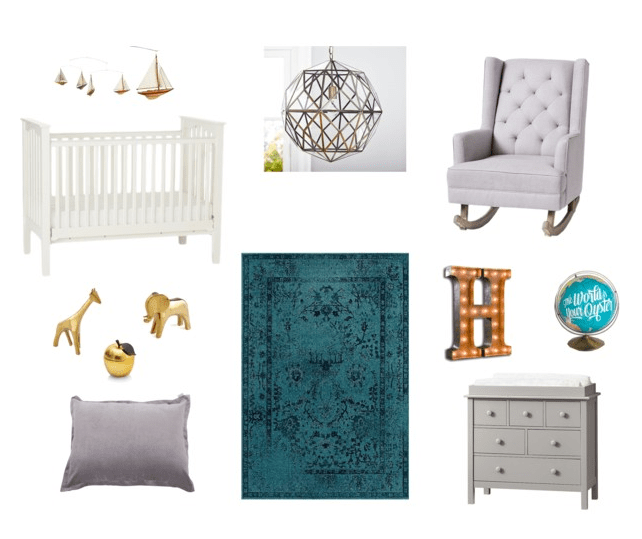 brainstorming a neutral nursery with grey furniture, a dark blue rug, comfy floor pillow, gold accents and travel themed decor. 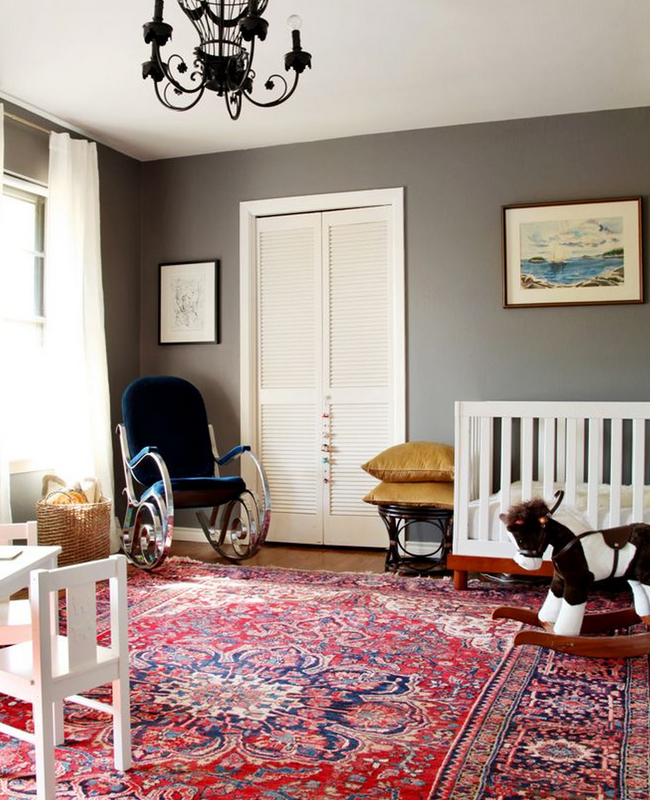 It’s only fitting he has a touch of New York and Florida in his little room. 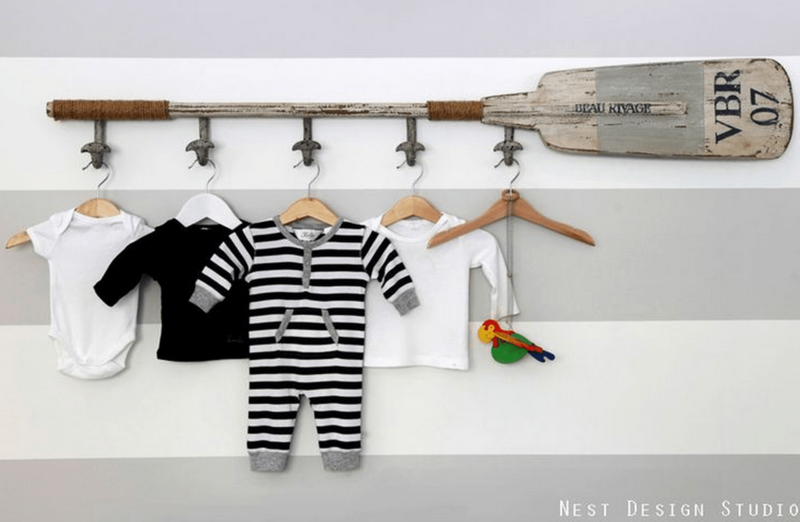 We’re starting to gather items for a registry – any must haves we can’t forget? love the inspiration. 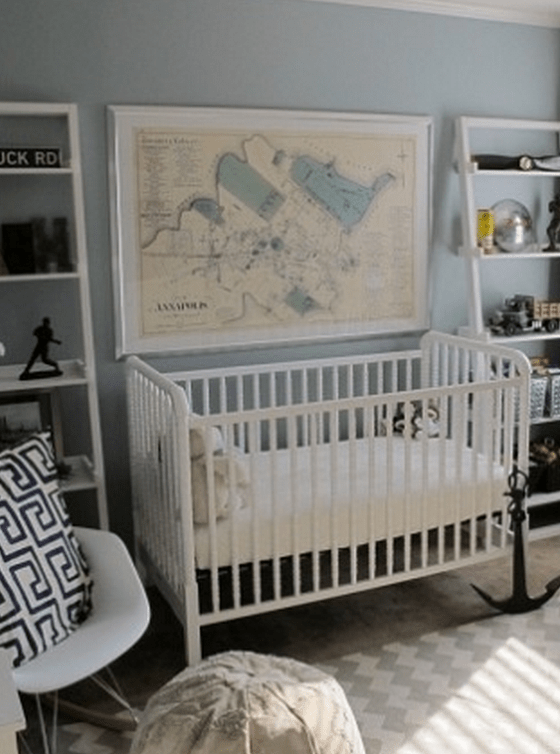 Can't wait to see what you are going to do with the nursery. I love this! The rug is gorgeous!